There is something to be said about fruit covered in yogurt, chocolate, or... anything really. It really takes healthy dessert to the next level. Combine yogurt, banana, and juice and mash with a fork until most chunks are gone. 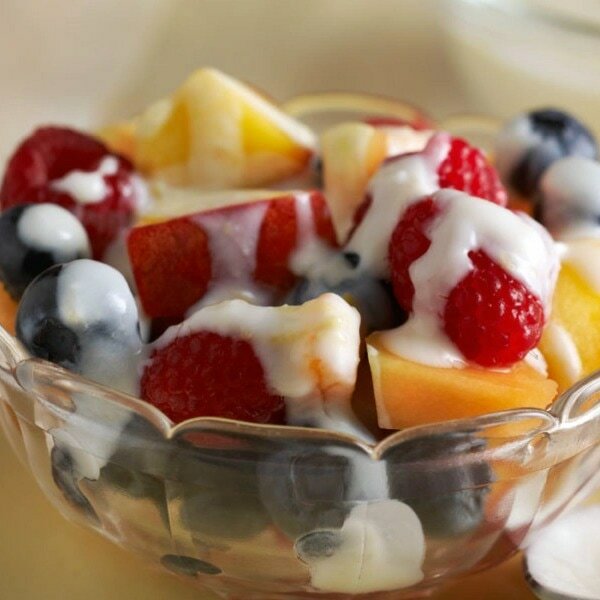 Top the berries with the yogurt banana mixture. Top with honey and cinnamon.